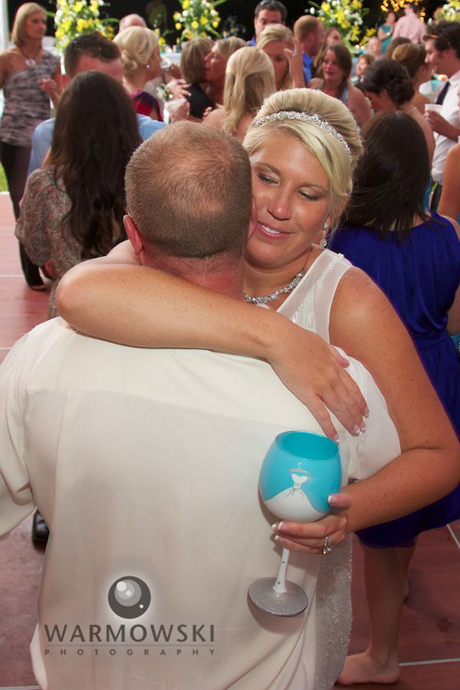 Mandy walked around (and danced) all night holding her beautiful “Bride” wine glass given to her by her bridesmaids. 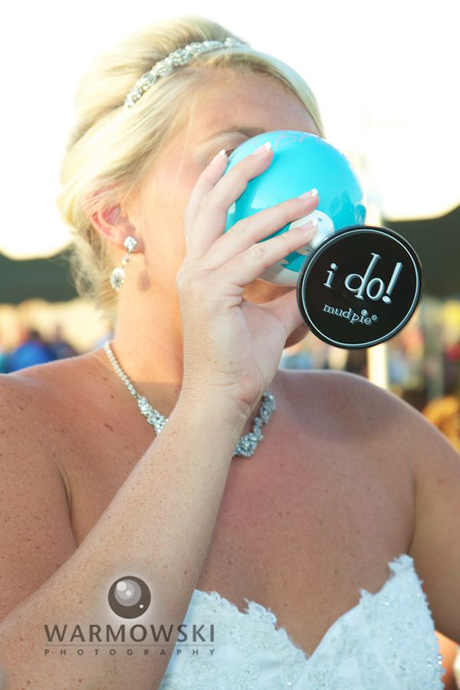 The goblet’s color matched the wedding color perfectly and it brought am air of “PARTY!” everywhere she went. Mandy & Billy celebrated their marriage with their family and friends at a beautiful reception at Mandy’s mom’s home in Jacksonville. The huge white tent and turquoise accents and yellow flowers everywhere were an exciting vision as guests arrived. Posted by Tiffany. 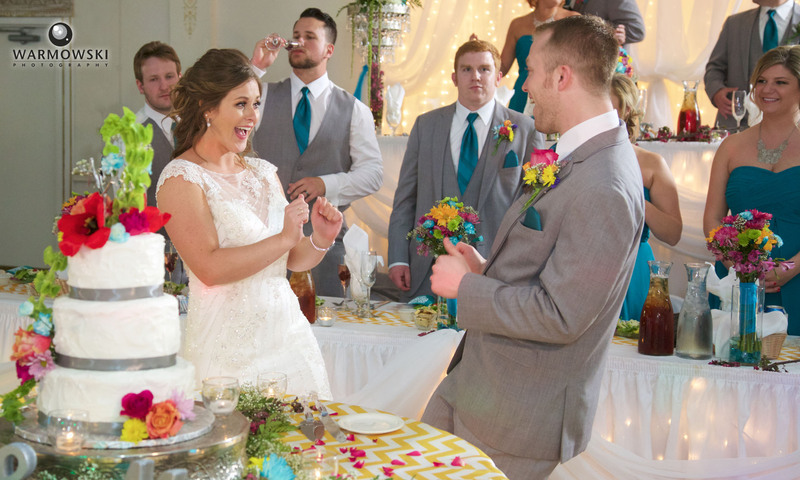 Warmowski Photography notices the fun details and work you put into your wedding. We also get to know you before your wedding so we know what’s important to you on your big day! Husband-wife photojournalist team available to tell the story of your wedding day. Follow us on Facebook. Wedding photography for Springfield, Quincy and all of Central Illinois. Member of Springfield Local Favorites, a group of the top wedding vendors in Central Illinois (on Facebook). Studio located at 301 E Court St. Suite B, Jacksonville, IL 62650 in the Hamilton’s 110 North East building.